PRESIDENT OBAMA: (In progress) during this visit. And I want to thank you for your thoughtful presentation about some of the agenda items that we need to address. We last met as a group during the Summit of the Americas in 2009. And I was mentioning that at that time I had less gray hair than you see today. I know that the United States is technically here in our observer status and sometimes that means that you observe but don’t speak, so that I know that you’re all indulging me by allowing to say a few words. But I am here more than anything to listen and hear the concerns that all of you have not only individually but collectively as a region. This is a region that has more than 40 million people. Every day they work to give their families and children a better life, and we’re grateful for the strong bonds between the United States and the people who trace their origins to the countries that are represented at this table. As governments, our job is to make sure that we’re doing everything we can to provide security and opportunity and ladders for success and prosperity for our people. Economic growth that creates jobs, security for people so that they can be safe in their own neighborhoods, and development that allows people to live in dignity. And so that’s why we’re here. The agenda is a broad-based, socially inclusive agenda that ensures that our entire region and hemisphere are prospering. And in pursuit of that, I think some of the issues that President Chinchilla mentioned are going to be vital. Number one, we need to think about investments in our infrastructure — roads, bridges, border crossings, customs, electricity grids; all of which can allow for more trade, more growth, more jobs. As I mentioned as we were walking in, this is a very competitive global environment. And it’s important for us to recognize that if the hemisphere is working effectively together, all of us benefit. And if we’re not, then we will lose in that competition to other regions. And we know that trade and investment flows to areas where there are strong public institutions, where there’s accountability and transparency and effective governance. And I think one of the things that we need to talk about is how we can work together to help each other in those areas. The second area that has been mentioned is energy. Costa Rica has shown great leadership in clean energy. And as somebody who believes in the challenges of climate change — and I think that everybody in Central America has to be concerned about that given the history of natural disasters and the severe costs that take place here. We want to continue to pursue a whole range of energy strategies for the future — solar, wind, hydropower. It is true that the United States has been making great progress in oil and natural gas development due to new technologies. And I know that’s something that’s of interest to you, so that’s an area that we can discuss. 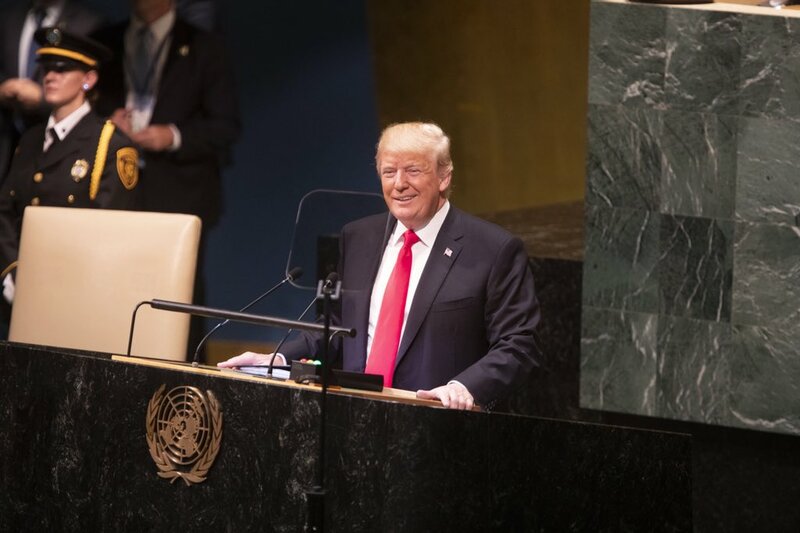 But the bottom line is my concern is helping every country at this table reduce its energy costs, making its economy more efficient because when you have high power costs, that’s not only a tax on your citizens effectively, but it’s also a situation that impedes growth over the long term. And so that’s an area where we’re very interested in helping. Investing in people: In this knowledge-based economy, if we don’t have the best workers in the world, the most highly skilled and trained workers in the world, then we’re going to lose. And it’s important to recognize that we need high-skilled labor throughout the hemisphere because our economies have become more integrated. And if you look at that global value chain, we want to be not at the bottom, but we want to be nearer to the top because that means more prosperity for our people. So everything we can do to train our young people in math, science, technology, and everything we can do pool our resources to help achieve those goals I think will end up benefiting everybody. And by the way, I think it’s very important — those countries that are succeeding are investing in the development of their young people, not just some young people, but women and girls, indigenous communities. It’s important that we don’t go onto the field with just half our team. We’ve got to make sure that the entire team is on the field. That’s how we’re going to succeed. And then finally the issue of citizen security: Obviously, that’s something that’s important. During this trip I’ve tried to make the point that we are interested in cooperating with every country around issues of citizen security. We know what a major toll it’s taken. We are obviously deeply concerned about narcotrafficking and the drug trade. I was asked a question about this in a press conference that President Chinchilla and I were doing, and the questioner suggested given all the violence that is taking place in Central America, how does America feel about that. And I had to remind people that we have violence in the United States. If you go to my hometown of Chicago, and you go to some neighborhoods, they’re just as violence, if not more violent than some of the countries at this table — in part because of the pernicious influence of the drug trade. But what I also believe is that we can’t just have a law-enforcement-only approach. We also have to have a prevention approach. We have to have an education approach. We have to think creatively because obviously some of the things that we’re doing have worked, but some things haven’t worked. We’ve got to think about institution building and capacity in our law enforcement and our judicial systems. Those are all going to be very important, and I know that the work that we’ve done together has made some progress, but I’m interested in learning more about other things that we can do. So I’ve spoken long enough considering I’m an observer, but I just want to again say thank you to all of you for taking the time to come meet with me. I know that all of you are extraordinarily busy and have great demands on your time. So for you to come in is something that I’m very grateful for, and I’m looking forward to a good discussion. 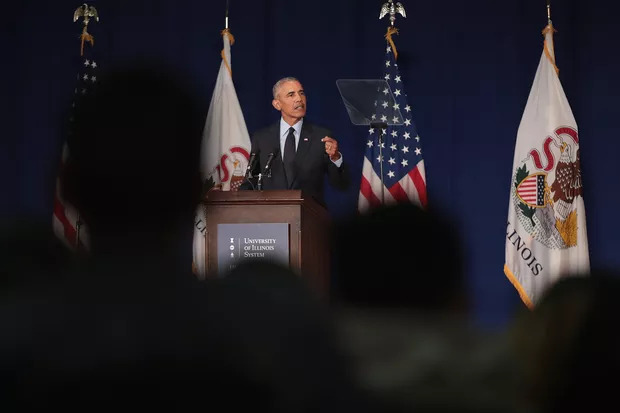 In remarks at the Business Roundtable on Wednesday, President Obama for the first time will highlight the need to raise the debt ceiling as part of a “fiscal cliff” deal.